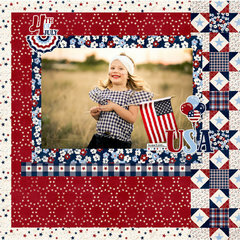 The Hometown USA Collection is perfect for your 4th of July and summer memories! 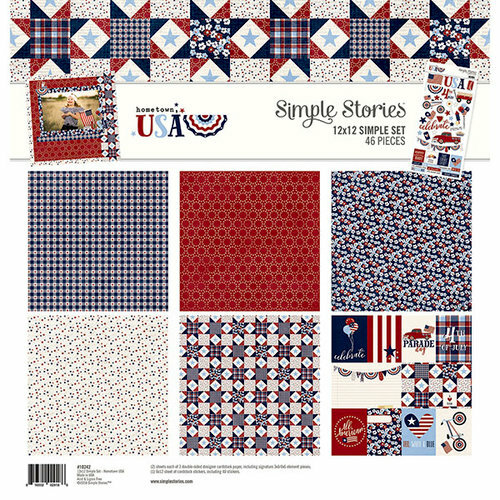 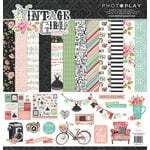 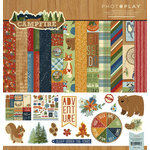 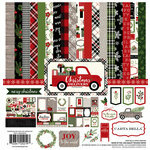 The 12" x 12" Collection Kit from Simple Stories has 2 sheets each of 3 double sided pattern papers and one 6" x 12" sheet of cardstock stickers. 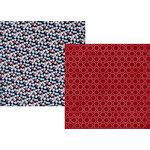 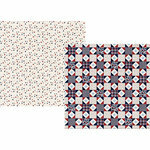 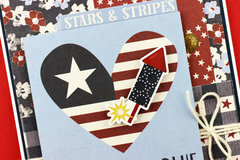 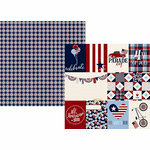 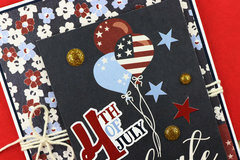 The kit features red, white and blue patterns including flowers, stars and a quilt pattern. 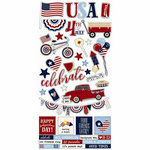 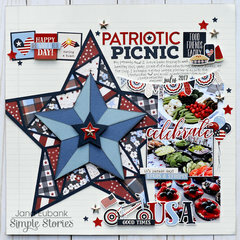 This kit will work well for Memorial Day, 4th of July and Veteran's Day. 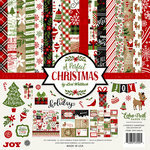 It has nice designs and bright colors for those holiday.